The shaded areas above designate the "basic" weight package. All one disk clutches in the same shade only require spring height adjustments for class changes. 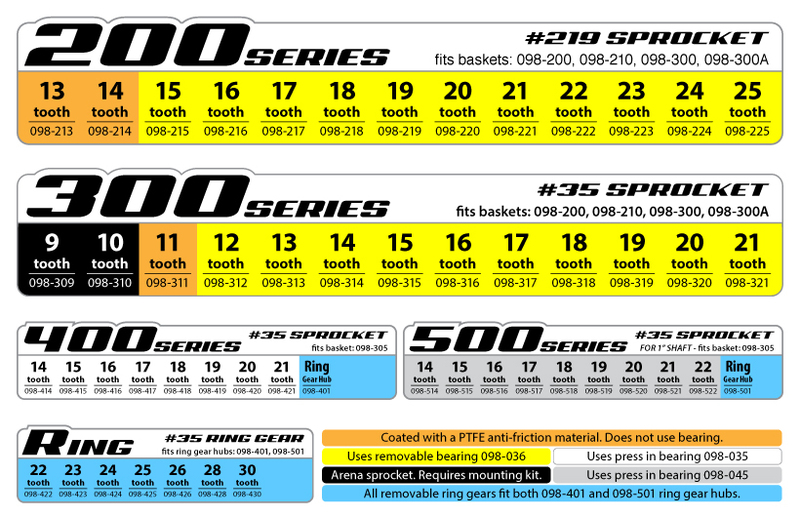 The engagement RPM’s found with the spring heights may vary with each individual, and are listed as a reference point only. The actual engagement should be at or up to 200 RPM’s above the peak torque of the engine. 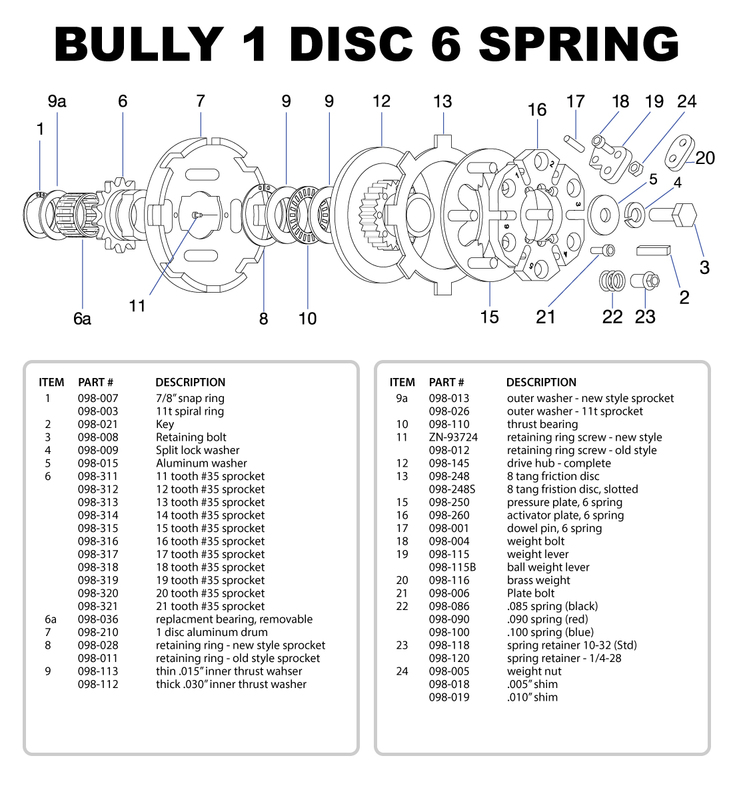 Bully Sprockets are manufactured using the highest grade of materials, CNC machining and heat treat processing. In and effort to give your sprocket the best life expectancy and performance, we offer the following tips.